You are currently browsing articles tagged Incarnation. Here in the Yucatán the official language is Spanish. For this reason, we spent our first year of this term in Costa Rica learning Spanish so that we could live and work here in Mérida. 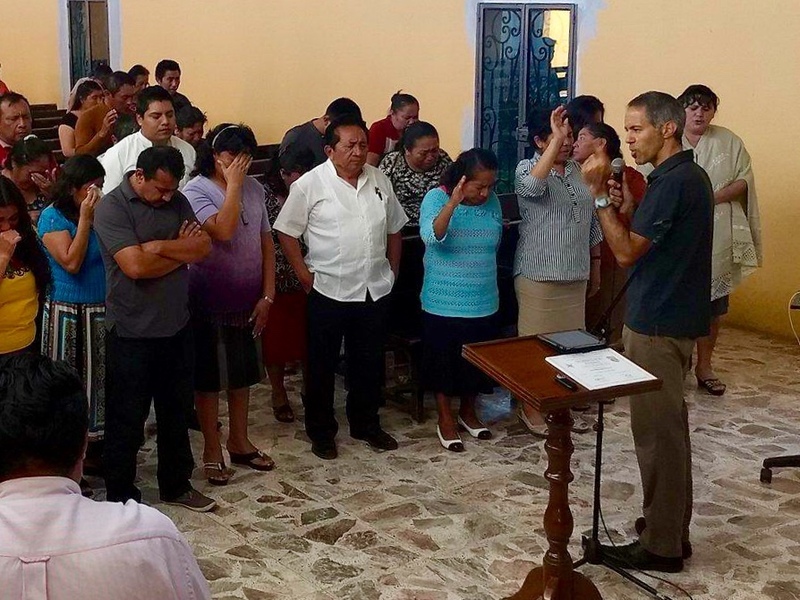 Nevertheless, there are times, like this past month when we journeyed to the town of Tekax, that even speaking in perfect Spanish isn’t enough. That is because, in several towns in the state of Yucatán, many still speak the traditional indigenous language which has changed only slightly from the time of the pyramid builders of Chichen Itza to the present. Others are bilingual, having learned Spanish in school, but clearly function better in their native language. So how do we respond to this fact? Well, we could rely upon those who are bilingual to translate for us, hoping that they will correctly interpret the meaning of our message. But what does this teach the Maya speakers? I feel it teaches them that the gospel is something foreign. Something that requires special abilities in order to understand, and that salvation is reserved for those who earn it by learning this foreign system. I don’t believe that our God is like that. From the beginning, with the question, “Adam, where are you?”, we know that God initiated his plan of salvation. Romans 5:8 says that while we were yet sinners, Christ died for us. And John 1:14 says that Jesus, the very Word of God came near, and lived among us. We are not those who search for Him says Romans 3:10-11, He comes after us. How does this translate then as a reaction to the situation of the Maya here in Yucatan? Years ago, before archeology became the force that it is today, many thought that the Koine Greek, the language in which the New Testament was written was a sacred tongue. This was thought because the texts available to the scholars at the time, that of Classical Greek was different from what they saw in Bible. However, as more research came to light, they found that the New Testament Greek was not a sacred language after all. In fact, it was the common speech–that which the housewives used to write out their shopping lists. So, in fact, we see that the very Bible that we read is another aspect of God “coming near” to us. He didn’t speak through the elite of the society or through a priestly class, He instead spoke through the common tongue of the merchants, the peasants, and the slaves. Understanding this, if we are to “come near” as Christ’s ambassadors and show the Maya that this message is in fact for them, that Christ came to save every, tribe, tongue and nation, then we in turn should take the steps to learn to share this salvation in their native tongue. So that in fact is what we are doing. Every Monday and Wednesday for two hours, I am traveling to the “Ermita”, a plaza south of town, to learn to speak and write the Maya language. 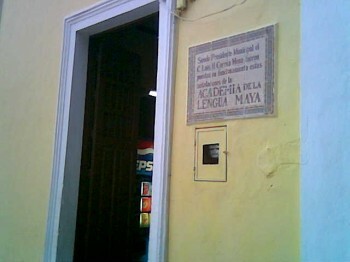 (The picture in this post is a shot of the entrance to the building.) The municipal government has established a course in which they teach citizens and foreigners at beginning, intermediate, and advanced levels for only $5 a month. 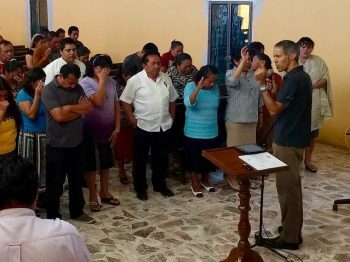 Having extended for a year, and having scheduled outreaches into these Maya speaking regions, this was an offer that we couldn’t refuse. So here I am again learning anew how to function in another language, struggling to come up with the words to respond to the teacher. However, when I consider what Christ did for us, coming to us as a baby, unable to speak, to function on His own, in order to live among us, I say that my struggle is worth it if it allows me to live among this people and reveal to them the God that we serve, the God who came near.